The Real Estate profession offers the widest career opportunities in the business world today. A career in real estate provides the flexibility and freedom to set your own pace. Your income directly reflects your efforts – with no limits on what you can earn. At Berkshire Hathaway HomeServices Kovack REALTORS®, we understand that you, as a Realtor, are selective about the company you work for. We are equally selective about the company we keep. We are committed to ensuring that each of our agents is qualified and dedicated to providing the service our clients expect. We are dedicated to giving our agents the backing they need to prosper and grow. No matter how experienced you are, you need a solid and reliable foundation to realize your full potential. We will be with you each step of the way without getting in your way. At Berkshire Hathaway HomeServices Kovack REALTORS®, we provide training, coaching, continuing education, and support throughout your real estate career. 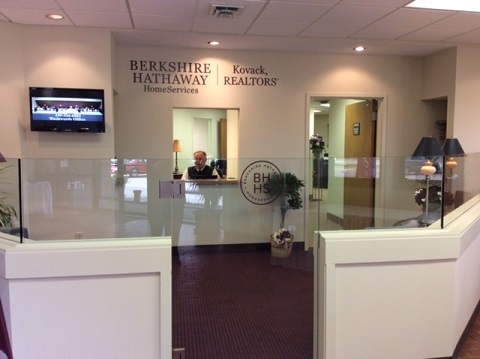 Additionally, the Berkshire Hathaway HomeServices Resource Center provides tools, tools and more tools (with training) to improve your client acquisition, service and retention, and enhance your bottom-line. Consider this a personal invitation to visit with us, to tell us your vision of an ideal work-place, and to hear all that we have to offer you as one of our Realtors. Please contact our broker, Michele Boyd at 330-336-8883.